Outsourcing payroll is one of the most commonly functions for small business. Administering payroll is a time-consuming task for busy business owner, an increasing number of business are turning to Allum Book-keeping Services for their outsourcing payroll needs. The Real Time Information (RTI) system that was introduction in April 2013, means that all employers are leaglly required to file an full payment submission to HMRC every time they pay their employees, before HMRC would not know the details of employee pay untill HMRC receive the P35 at the payroll yearend. As expert providers of payroll processing Allum Book-keeping Services can assisit you in any of these areas. Employment and tax law becoming more complicated, out payroll service give you peace of mind that your business complies with the current leage requirements. 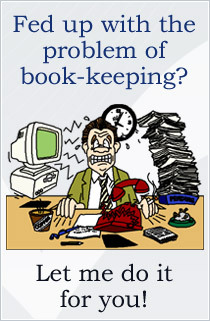 So why not do what you are best at running your business and let Allum Book-keeping Services take care of your payroll. Payroll can be process for business anywhere in Dorset including but not limited to Bridport, Weymouth, Dorchester, Portland, Salisbury, Bournemouth, and Yeovil.